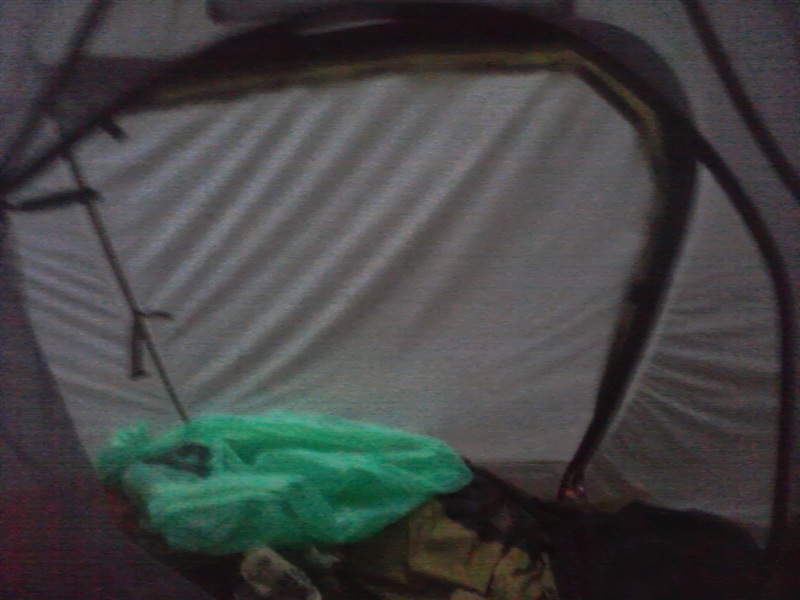 This is my view from inside the tent. 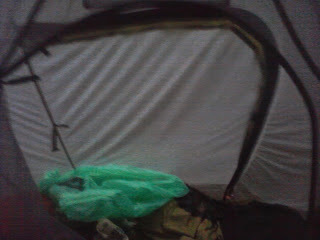 It's really hard to [get the motivation to] pack up when it's raining and thundering. My boots just got dry yesterday from the last rain! It might be a sandal day. Luckily Pete is coming north to visit with us and so if we survive the day, we will have a roof and a friend. Your mother here---we just had our 2nd day in a row of sunshine and 70 degree weather. I hope it comes your way.